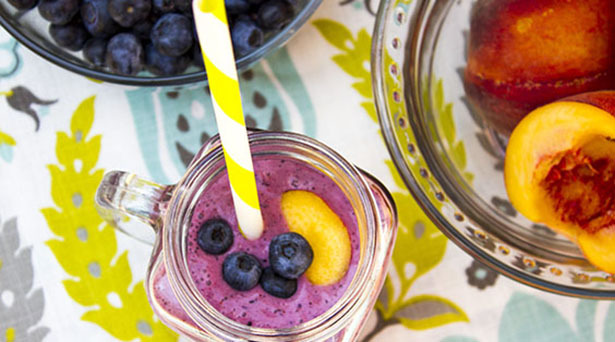 This fruity, protein-packed blueberry peach smoothie is sure to help you recharge and boost energy levels. Combine yogurt, fruit, milk, honey and ice in a blender. Blend until smooth and frothy. Serve in a chilled glass immediately.